Qatar supports Hamas in Occupied Palestine and has links to the Muslim Brotherhood, detested by Egypt and the Saudis. Qatar, like Saudi Arabia, has ties to Israel. Unlike Saudi Arabia, Qatar has connections with Iran, which the Saudis see as the source of all terrorism in the world. The Kingdom seems to ignore the fact that Qatar and Iran jointly own the largest natural gas field on earth, located beneath the Persian Gulf. Adding to regional tensions, Qatar believes it is the rightful ruler of the Nejd, the central part of Saudi Arabia. Doha has also suggested that relations with Iran might be better served by diplomacy rather than saber-rattling. The Saudis have contributed to political strains by their 1974 “incursion” into Qatar, and their current demands that the country surrender most of its sovereignty, including shutting down Al Jazeera, the Doha-controlled news network that sometimes criticizes authoritarian states in the area. This is a battle between barbaric criminals who seek to obliterate human life, and decent people of all religions who seek to protect it. This is a battle between good and evil. For decades, Iran has fuelled the fires of sectarian conflict and terror. It is a government that speaks openly of mass murder, vowing the destruction of Israel, death to America, and ruin for many leaders and nations in this room. 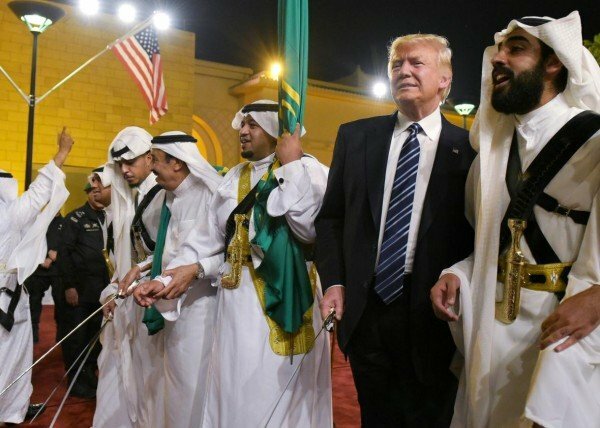 President Trump thus signaled the untempered, inexperienced Crown Prince of Saudi Arabia, Mohammad bin Salman to move forward against Shiism, both in Iran and Qatar (where they form 10% of the Muslim population). Prince Mohammad has been the architect of Saudi Arabia’s disastrous foray into Yemen and its increasing hostility towards Iran. Now, he has added Qatar to his list of major mistakes. Pushing ahead with astonishing demands for change in Qatar, the Crown Prince has augmented his restrictions on Al Jazeera with whopping fines for those caught watching the channel or hotels showing it on television. He’s pushed the GCC to, inter alia, sever diplomatic relations with Qatar, blockade its economy, and send Qatari workers and students home. He’s also demanded that Qatar close the Turkish military base there, end contacts with GCC political opposition figures, and submit to compliance checks. Additional Saudi demands included that Qatar cut off all relations with Iran, Hamas, Hezbollah (the most effective Lebanese opposition to Israel), and the Muslim Brotherhood. WHO. However, in a truly astounding case of the pot calling the kettle black, Saudi Arabia insisted that Qatar end its support for terrorism. 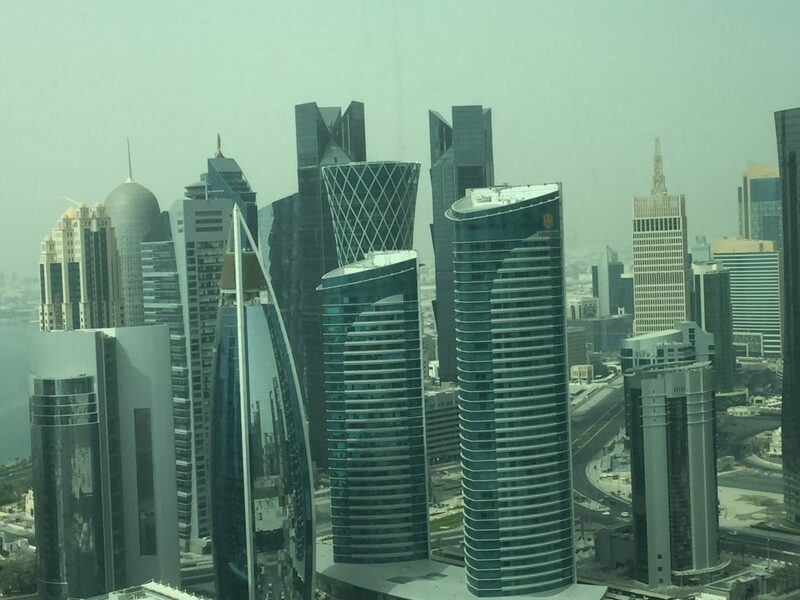 Certainly, Doha backs extremist violence. It produced fake Syrian passports for terrorists and others migrating to Europe, it sent warplanes to Libya to help overthrow Moammar Gaddafi, and it backed various fanatical groups in Syria, such as Jabhat al-Nusra. The Kingdom of Saudi Arabia has, since the 1980s, helped recruit and support the most fanatical terrorists in history. Beginning with the mujahideen in Afghanistan and continuing with their re-branding as al-Qaeda and, later, ISIL, the Kingdom sent its boys into the former Yugoslavia where they (including Osama bin Laden) worked with NATO and the United States to destroy the country. Saudi Prince Bandar bin Abdul Aziz al-Saud, one-time head of the country’s intelligence service, sent terrorists and weapons into Iraq, drawing loud complaints from the Iraqi government. Prior to his departure from office in 2014, he and the Saudi government had spent 18 months better co-ordinating the supply of weapons to Syrian extremists fighting Bashar al-Assad‘s legitimate rule. WELL? Qatar’s future seems reduced to three choices. (1) Winding down the tensions through the GCC abandoning its ill-conceived efforts to pressure the country into submission. (2) Racheting up the pressures on the constitutional monarchy headed by Prince al-Thani, possibly intensifying the blockade of foodstuffs now supplied by Iran and Turkey. (3) Another Saudi “incursion”, leading to the overthrow of the real government and its replacement by a puppetry of quislings. Picking Option 3 would crater Saudi Arabia’s already poor reputation in the region and around the world. However, the Saudis, with their new-found courage and independence, acquired in part from Israeli and American support, don’t seem to really care about their image. They can continue to go about their business, pumping oil for the vehicles of America, China, Europe, and Japan. Donald J. Trump certainly wouldn’t care. He, like the United States, works easily with repressive and repulsive governments around the world. When has there been official American action against, coupled with, criticism of Bahrain, Israel, and Saudi Arabia? Of course, President Trump might want to give a thought to his massive base at al-Udeid in Qatar. With 10,000 U.S. servicemen there, helping attack Afghanistan, Iraq, and Syria, Uncle Sam might well wonder what would happen if the Saudis waltzed in. Al-Udeid has some of the longest runways in the Middle East, accommodating B-52 heavy bombers. The base is also the location of the de facto Middle East operational center for the U.S. Central Command. Organized resistance, guerrilla war, and combat damage might reduce al-Udeid’s abilities somewhat.